Aahil and Sanam/Jannat are stuck in a tribe after meeting a short accident and getting lost in the jungle. Aahil chants Jackie Chan’s name and tries to fool the tribe. The tribal king and his daughter surround them. Tribal’s head likes Aahil and fixes his marriage with his fat daughter. Aahil gets trapped and tensed. He thinks how to escape from their clutches. Aahil says he can do anything for his love, and gets worried as the tribal king asks him to marry his daughter. Jannat asks him not to lose his senses in anger, and they will seen in the tribal style soon. Aahil says we will stay here, and feels they will be sent with respect. Sanam tells that they shall somehow leave from there. Aahil determines to prove his love for Sanam and therefore walk on the glass pieces. 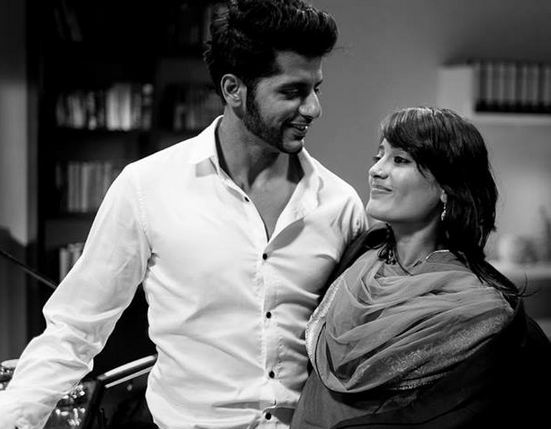 Sanam and Aahil have a fight in the jungle. Sanam reminds him that she is Shaad’s wife Jannat. She shouts at him to stay away from her, oblivious to the fact is Aahil is her real husband. She says she will die, but can’t betray her husband. The tribal twist will bring Jannat/Sanam’s memory back and will revive their love by the situation arising. Keep reading.